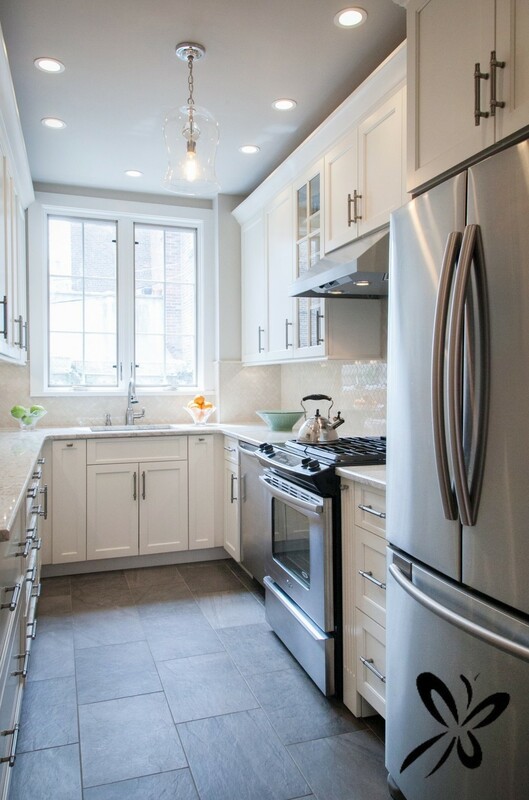 society hill — Ferrarini & Co.
Project Summary: Philadelphia brick row home's host an abundance of charm and quaintness, however space is always very limited, especially within the kitchen. This project was converted from a short "L" kitchen to a full "U". We infilled the existing back door (there was a second back door in hallway) and resized and installed a new french pane wood encasement window. Symmetry was a primary objective along with a mono-chromatic aesthetic feel to make the space feel larger. The contrast of the dark floor adds another dimension to the space and grounds it well. The crown-molding was deliberately left off of the ceiling to make the room feel more spacious considering the narrow footprint. 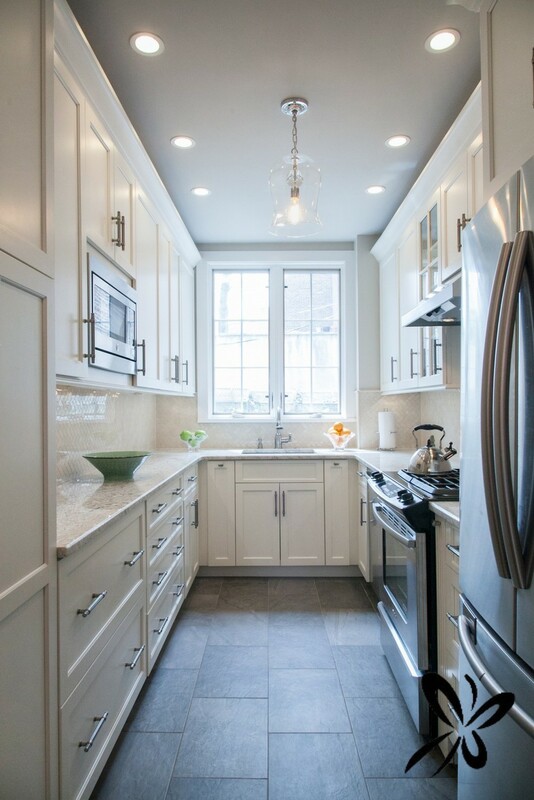 Overall this was a major transformation which resulted in a kitchen the clients fell absolutely in love with.